Our family has a tradition that started while we were in seminary, and though I do not how it started continues to this day, the tradition is that on days that we eat cauliflower for dinner, on those nights it is “count your blessings night” and we go around the table three times and each share things for which we are thankful for. I must confess that sometimes it is harder than other times, which is a strange thing for a pastor to say, but the times when it is harder, is often when I am stressed, busy and my eyes have been taken off the greatness of Jesus and put on the bigness of my “problems”. Isn’t that, exactly the way that Satan would have it, to make our problems bigger in our eyes than the Lord. 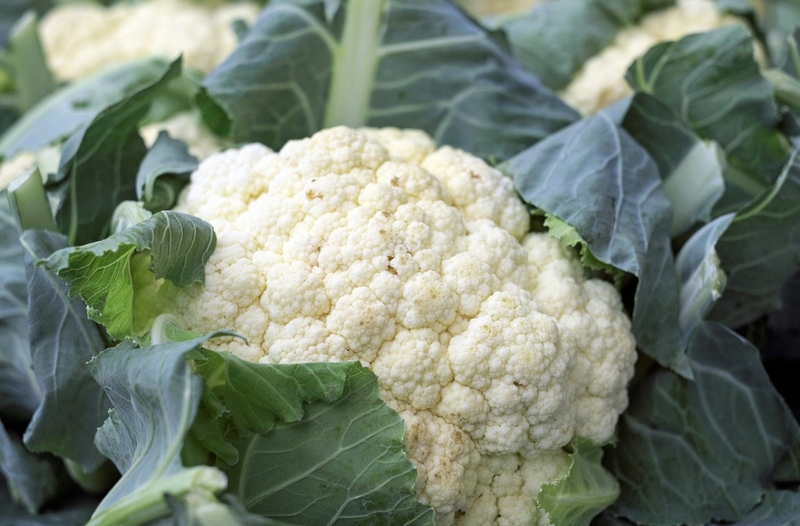 So on “cauliflower days”, yes, to the chagrin of our now much older children, we still sing “count your blessings, name them one by one” and off we go around the table counting our blessings. Psalm 119 in the original Hebrew is actually an acrostic. Not only does each of the sections of the Psalm begin with a different letter in the Hebrew alphabet, but each line in the section begins with that same letter in the alphabet, no wonder it is such a long psalm. But just imagine what a feat that would be and all under the inspiration of the Holy Spirit. 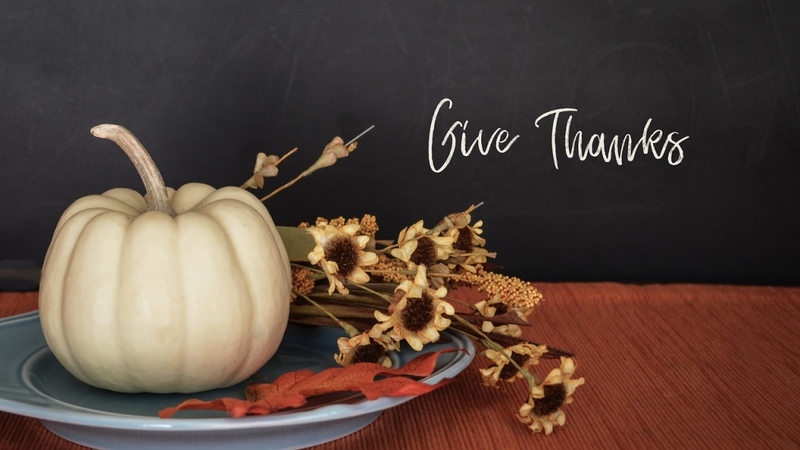 With Thanksgiving just around the corner, I wondered if our “thanksgiving” as believers is as comprehensive as our English alphabet? As Christians we know that the attributes of God, His grace, goodness, provision, and protection are “incomprehensible”, but just because they are incomprehensible does not mean that we should not at times seek to list them. Recognize that the exercise may be harder than it seems. Don’t get frustrated, but in your frustration recognize a couple of things; first, the fact that we often know more than we are actively thankful for in lives, and secondly, that we are often far too busy to actually stop and think about the fullness of God that is ours in Christ. I would encourage you to make your lists. Make them in your devotions, and in your family devotions with your children, help them to get creative. You could do various lists, with them and by yourself. Lists could include: attributes and names of God, God’s gifts to us in nature, God’s gifts in family, provision and home (names count), God’s gifts in your church family (names count again), etc. The possibilities are endless. Try as much as possible not to use a letter as simply an adjective but try to list an attribute which begins with that letter.Sometimes you will need to use a letter as an adjective but fight the urge. When you get to Q, X and Z give yourselves and your children a break allow them to be used in the word not just as the first letter. If you start with a list easy for kids tell them all to write them out but at the end, if you have one on someone else’s list, both of you have to cross it off your lists and the person with the most letters left wins. If your little kids are creative, they could draw pictures next to the words they come up with. I am sure that this is how many children’s books concerning the alphabet started. You could put a letter on each page of a notebook and your family could spend times adding each day to the page in a general list until the page is full. In your devotions, next to Attributes of God for instance, you could spend the week on your list and write one or two verses where you find that in the Bible and write those next to the attribute (L – love, John 3:16). Now you have a whole list and where to find them. If you need to explain your word do so next to it in a short sentence. Make a list particularly for a friend who is struggling and send it to them as a reminder of God and His faithfulness and goodness. Try making a different list each day for a week in your devotions. Keep the list in your car and add to it as God brings things to mind. Not a bad way to keep your mind on the Lord. Make sure that at the end of the exercise, whether in personal or family devotions, you pray some of these back to God in praise and thanksgiving. In the comment section leave me your lists.